The holidays are soooo near, we've received so many request to preview and sample items for our Annual Holiday Gift List, we've become best of friends with the Fedex delivery man!! We've slothed, scrubbed and lathered with the best beauty products to hit the shelves. We have our personal favorites and we're sure you'll love them just as much as we do. In true Tres Chic Style we're giving away some our favorites to a few lucky winners this holiday season. 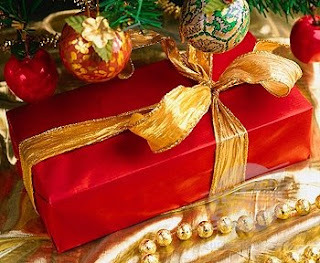 I am so excited about our 2nd Annual 12 Day's of Christmas Giveaway....... Stay tuned for your daily dose of Tres Chic Style and get ready for the best in beauty, fashion and celebrity news on the blogosphere.